The passing of a dog is a devastating loss for the entire family. 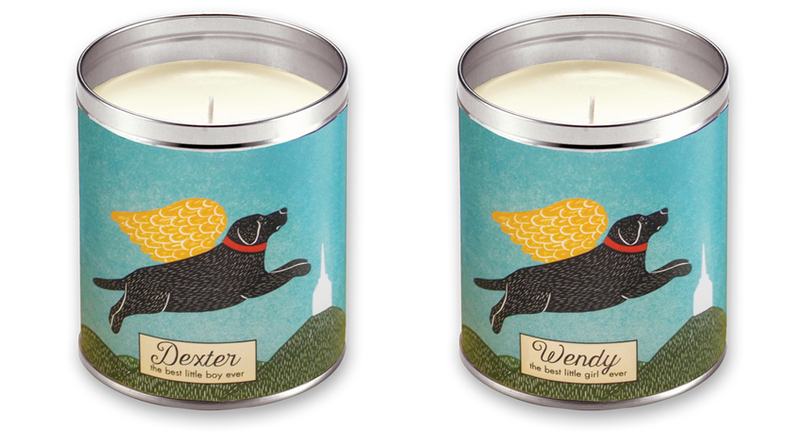 Adding your dog's name to Stephen Huneck's iconic Angel Dog image makes this personalized dog memorial candle a lasting remembrance of your four-legged family member. 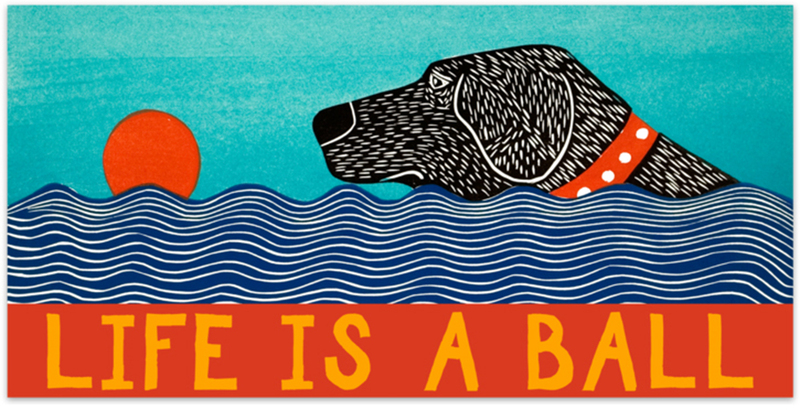 A motto to remember... Life is a Ball! These colorful and uplifting bumper stickers come with removable adhesive that is ideal for cars and trucks. Thick, durable vinyl protects your stickers from scratches, water, & sunlight. Perfect for indoor or outdoor use. Dog Mountain is excited to bring you a new line of Dog Mountain Candles! Hand-poured and crafted in Vermont by Aunt Sadie's Premium Scented Candles, each Stephen Huneck Candle is made from a blend of premium wax and authentic scent containing essential oils.